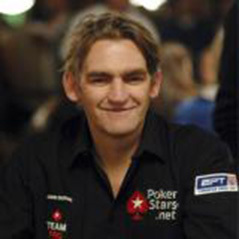 After revealing earlier this week that he wouldn't be renewing his contract with PokerStars, John Duthie has announced that he is giving up his role as CEO of the European Poker Tour. Duthie founded the tour in 2004 and has seen it become one of the most prestigious and largest tournament series in the world. "It is time to move on and to leave the EPT in the capable hands of the existing management team," Duthie said. "It has been a fascinating and challenging seven years and I have watched the EPT grow phenomenally in that time, thanks to the support of the players and the professionalism of a great team on the ground." The EPT action heads out of Europe this week with the PokerStars Caribbean Adventure classified as part of the tour. The next stop after that is Deauville in France from 31 January to 6 February. Qualify for the €5,300 Main Event at PokerStars with a 100% first deposit bonus up to $500. Sign up here.